I’ve written for years now about interval planning, and it’s a concept I continue to practice and teach. 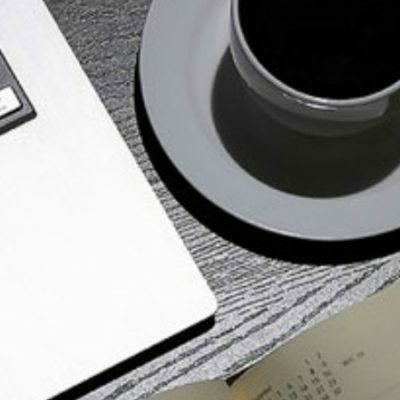 At its heart, interval planning chooses goals and plans projects and works within manageable increments (6-12 weeks, usually) instead of short bursts (a week or month) or long stretches (quarters or years). Then, between intervals, time (a day or a week) is taken to step back, wrap up loose ends, and plan for the next stretch. The interval is for doing mode and the planning is reserved for the in-between week. By keeping our planning in chunks like this, we prevent ourselves from “productive procrastination” by working on our plan instead of working our plan. More time needs to be spent doing than planning – and interval planning not only helps us do that, it also keeps the motivation high with deadlines and clear focus. Until about 6 months ago, I called the week in between intervals a break week. My own intervals match my school year calendar, and we take one week off every six, calling it a break week. So the name transferred. However, it turns out the name set up false expectations. The week in between intervals is not all about taking a break. It’s about hitting pause on the “do-do-do” mode so we can think, plan, and prepare. It’s a break from one kind of work to do another kind of work. 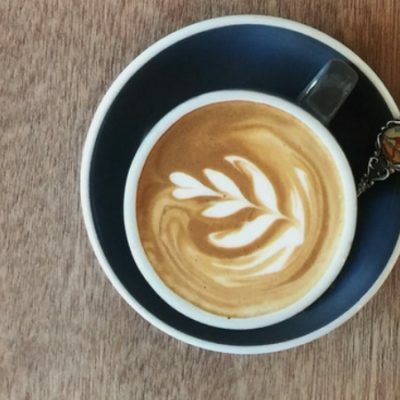 A Simply Convivial Member, Katie Finlayson came to the rescue with an acronym we now use in the Simplified Organization course, in the community, and now hear: PREP week. Aligning our expectations is a huge part of successful planning, and simply the change of name helped many. However, it’s not only a name change. The acronym helps guide us, as well. Prepare: Gather loose ends, make lists, brain dump, look ahead on the calendar farther than usual. Often I include finishing up my previous projects under this heading, too. 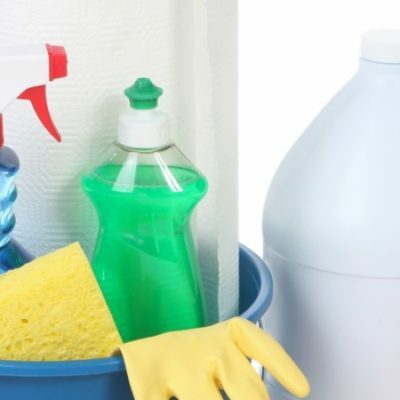 Restore: Do some extra cleaning & decluttering so you’re ready for another round, but also take some refreshment time to restore your own attitude and mindset. Evaluate: What went well this last interval? What didn’t go well? Why? What is most important next interval? Don’t plan for the next interval without pausing to assess the last one so you can learn and improve. Plan: Refresh the plans, decide on your habit and project and task focuses for the next interval. Make sure your planning ducks are in a row so you’re ready to roll. What exactly you choose to do under each heading varies not only from person to person but also PREP week to PREP week. In fact, the first step of “Prepare” for myself is usually choosing 1-3 items to do under each heading and making that my list for the week. There are generally 5-10 things I want to do under each heading, but 12 things to do is already quite a commitment. Having to limit my list forces me to pick those pieces for which I’ll get the most bang for my buck. It turns out that neither break weeks nor PREP weeks magically expand to fill all we’d like to catch up on or fit in. We can bang our heads against our life or our plan, whether it’s a typical “doing” week or a PREP week, thinking there is something wrong with us or our life, when it’s actually only our expectations and therefore our plan that’s out of whack. It’s always a temptation to overplan. The excellent thing about interval planning, however, is that over time we get better at planning, doing, and expecting. We learn how we work, we learn how to execute our plan, we learn how to pare down and choose the best things instead of trying to get to everything. 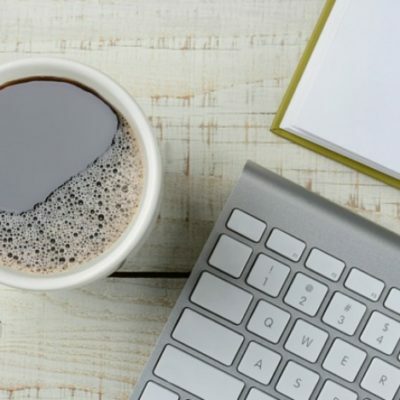 Interval planing – and even PREP weeks – remind us that each round is a practice round, and each fresh start is another opportunity to apply what we’ve learned and try again. 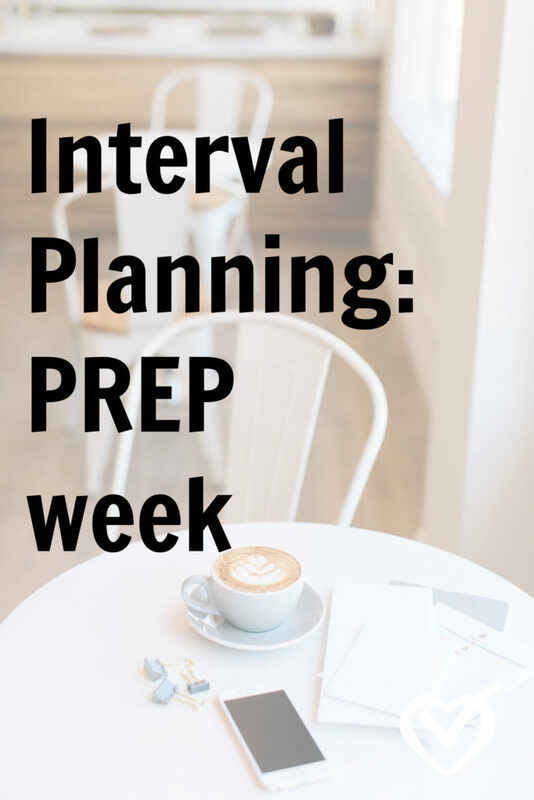 If you’re interested in trying out interval planning or if you need help making a PREP week plan, join us Friday for a special hour-long practical, hands-on workshop all about designing and doing a PREP week. Normally this workshop series would be $25 to attend, but now it’s all included in membership, which you can join for $10/month. 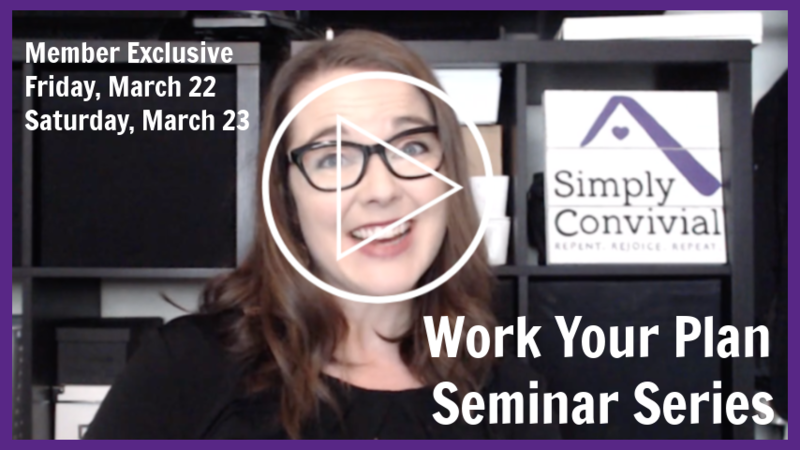 Even if you only join for this workshop series and cancel after the first month, you’ll get a ton of value – more than half off what it would have been. And if you’re already a member – you can just show up! No extra registrations or purchases or deadlines. If you want to join specifically for this workshop series, do so before Friday so you will be sure to get the preparation emails with the links and also worksheets to have during the sessions. Several people emailed questions about managing kids during a PREP week, and I have previously written a post on most of those questions, which you can find here: Break Week FAQ. To get into the nitty gritty of balancing expectations and the need to plan and prepare, though, become a member and attend the workshop Friday at noon. Click here to learn more about membership and join.